The healthcare market is among the fastest-growing branches of economy. To be successful in this rapidly evolving, highly competitive sector, companies need high-quality, up-to-date information and insight. PMR Research and PMR Publications have been providing research and market analysis services for the medical and pharmaceutical sectors in CEE countries since 1995. What are the formal and legal considerations applicable to the medical and pharmaceutical market in CEE countries? What is the optimal distribution system for pharmaceutical or medical products? How best to formulate a marketing strategy that is both effective and compliant with local laws and regulations? Changes in the healthcare market are driven by a variety of factors, including legislation and regulation, competitor activity and constantly evolving consumer behaviour patterns and trends. As a market leader in the field, PMR regularly participates in international meetings and conferences in the medical and pharmaceutical industry. As the only company based in CEE, we presented the results of our healthcare market research at the 2011 EphMRA Conference in Basel. Our research projects cover Rx and OTC drugs and medical devices. We test new drug names, concepts of treatments employing innovative solutions, we also perform a wide range of related projects. Research with the participation of doctors, pharmacists and related professions (hospital managers or distributors of medicines and medical devices) plays an equally important role in the execution of healthcare research projects. One of the end products of our research efforts in the pharmaceutical and medical market are reports prepared by PMR Publications. 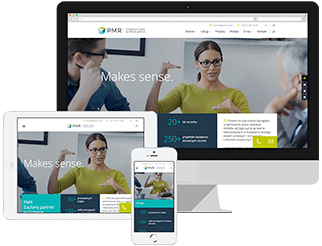 Drawing on longstanding experience in healthcare market research, PMR Research has developed its own proprietary tools and research methods (PMR Medical Panel). We have a rich, comprehensive, and constantly evolving portfolio of resources and databases. We regularly perform research tasks with the contribution of doctors from a variety of specialisations as well as other pharmaceutical and medical professionals. We also regularly perform interviews with key opinion makers in the industry. Research is conducted in a quick and efficient manner.